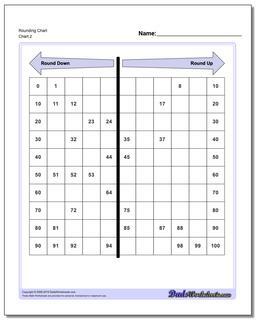 You can use a hundreds number chart to teach rounding! This printable chart gives you all of the values from 1-100 and shows clearly which way to go to get a rounded-off number. Rounding is a skill that goes hand-in-hand with being able to locate numbers on a hundreds chart. 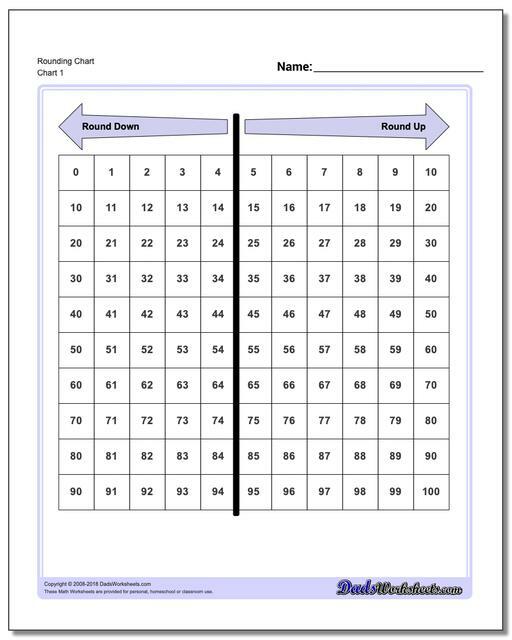 The basic idea of rounding a number is to find a less precise way to perform some other calculation. 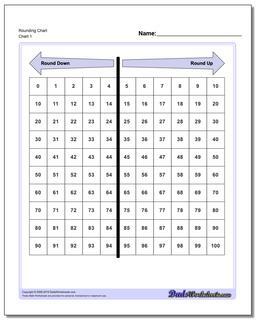 For example, if you had a list of numbers that you could round to the nearest ten's precision, adding those numbers up in your head can be a lot less daunting. If the volume of numbers is reasonable and the numbers are evently distributed, the error due to rounding will gradually reduce. These rounding charts deal with rounding to the nearest ten's decimal place. 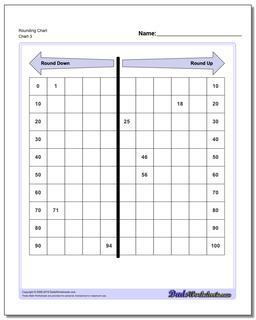 This is the first rounding task that a student will typically encounter, and it is the fundamental skill needed when rounding to other precisions to the left or to the right of the decimal. 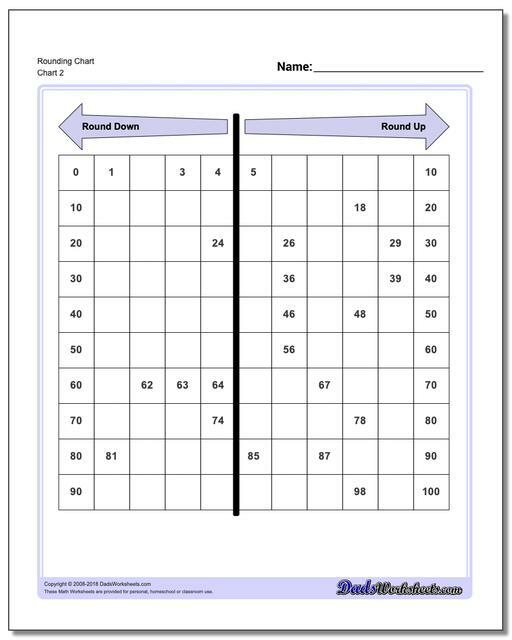 Rounding numbers is skill appropriate in early grades after place value concepts have been introduced and is specified as part of Common Core (specifically, CCS.MATH.CONTENT.3.NBT.A.1) for introduction in third grade.